I previously worked for a large corporation within thier HR and Management Team. After having my two children, I decided it was time for a career change. I wanted a career which was fulfilling, something I enjoyed and would give me the flexibilty to spend more time with my children. I started training within the childcare sector around 5 years ago. I have always had an interest in childcare and early years development. Initially I assisted in an after school club and volunteered with Homestart an organisation which assists families who have young children and require assistance establishing a routine with the child. I completed my EYFS level 3 qualifications 4 years ago and became an Ofsted registered childminder just over two years ago. I have fast become a popular option for childcare in the Colnbrook /Datchet/Windsor and adjacent areas. My local school is Pippins Primary School & C of E Colnbrook school. The children, the parents and friends would describe me as a happy, fun and approachable person. I am constantly striving to provide the best service I can for the families I work with, as you can see from my reviews, the families I work with have provided wonderful feedback, so please feel free to get in contact if you have any quieries. I have experience working with children of all ages, from diverse backgrounds and with different abilities. I continue to work with a charitable company in Slough (Homestart) which I have volunteered with, for 3 years. I have also gained experience working at an after school club in Whitton. Over the past two years I have had the opportunity to work with many talented and wonderful children, watching them progress and learn, both through education and play, has been a great experience. A great aspect of my role as child carer is that I am constantly learning and adapting to meet the needs of the children. I ensure the activities, outings and sports keep the children stimulated and entertained, this is achieved by varying the schedules throughout the term. It is also important for me to understand each childs preferences as no two children will enjoy the same activities. I have a degree from Coventry University In Business & Human Resources. I have recently achieved my NVQ level 3 in childcare. I hve completed all of the necessary first aid qualifications and am registered with Ofsted. Im available from 7am-7pm Monday-Friday. I am flexible with parents working shifts or those who need to drop the child before school to complete a commute into work. Fees depend on the age of the child. I accept childcare vouchers and am registered for 15 & 30 hour government funding too. 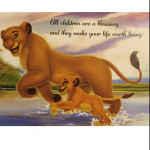 Below are the latest reviews for LittleSimba2014. Please note that reviews represent the subjective opinions of other Childcare.co.uk users and not of Childcare.co.uk. Parents must carry out their own checks and references on childcare providers to ensure that they are completely happy before enaging in the use of their services. Going back to work after 13months at home with my little girl was the most frightening thing i have ever experienced! No one was going to be able to look after my baby the way i do! Preet made life so easy! She has helped with my baby’s development and she comes home having learnt something new everyday! She is happy and looks forward to going to Preet’s house everyday! I cant thank her enough for looking after my baby & giving me the piece of mind i need! We love you! My daughter started going to Preet when she was 10 months and barely crawling. She's 16 months now, running around, laughing, smiling and dancing! Preet has been so wonderful in looking after my daughter and aiding with her development. Preet has given my daughter a safe and secure home environment around other children and this has helped her become very confident, sociable and independent. I have a daily journal of what my child has been doing, what she's eaten and how long she has slept so I know how she has been through the day. I also receive pictures which brighten up my day. Highly recommended. My daughter and son went to Little Simba for almost 2years. When my daughter started she was 2 didn't talk as a mother I was worried but Preet always reassured me to give it time..now my daughter is 4 she is talking like chatter box! My children loves going to Preet, she provide a very safe, clean and family environment, I never worried! Children are in good hands with Preet, her mum and the assistance! My children will miss her! We have been with little simbas for the last 2 years and continue to do so. Currently she looks after my 4 year daughter who attends nursery and is with Preet during the afternoon (preet does the nursery pick up), in addition Preet also picks up my son from school when needed. Having moved in to the area a few years ago and having to transistion the kids to a new childminder, I was naturally very nervous. Preet did an exceptional job in getting to know he kids, building a relationship them and really creating that safe, family friendly environment for them to feel comfortable in. Preets flexibility when it comes to the kids has just been amazing- no problem is ever too big and rarely have I ever heard Preet say she is unable to do anything- it’s a very rare trait that you find in Childminder’s these days. Both kids are very happy, they have made many friendship, and even developed close relationship with her family. Highly recommended. Preet is such a lovely person and she has really great manner with all the children in her care. Since my daughter Emma has been going to Preet I've been reassured that I made absolutly the right choice. I've seen daughters progress, she has learned more words, started to draw even she learned to use toilet instead of potty. Me and my husband both working fulltime and Preet help us with our different shifts as she is very flexible. As I am pregnant now and going for maternity leave we can just recommend Preet as she is providing extremely great care and Emma will miss her.